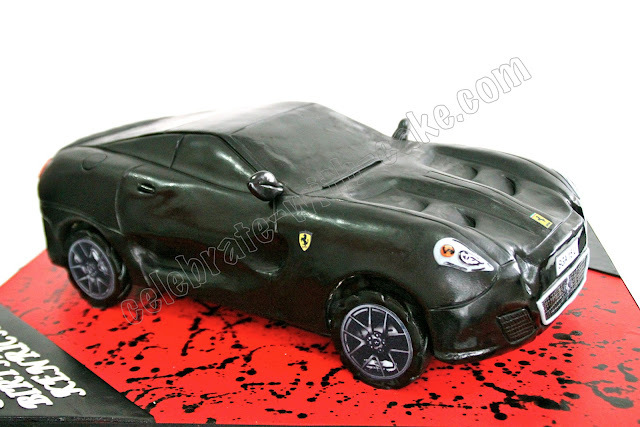 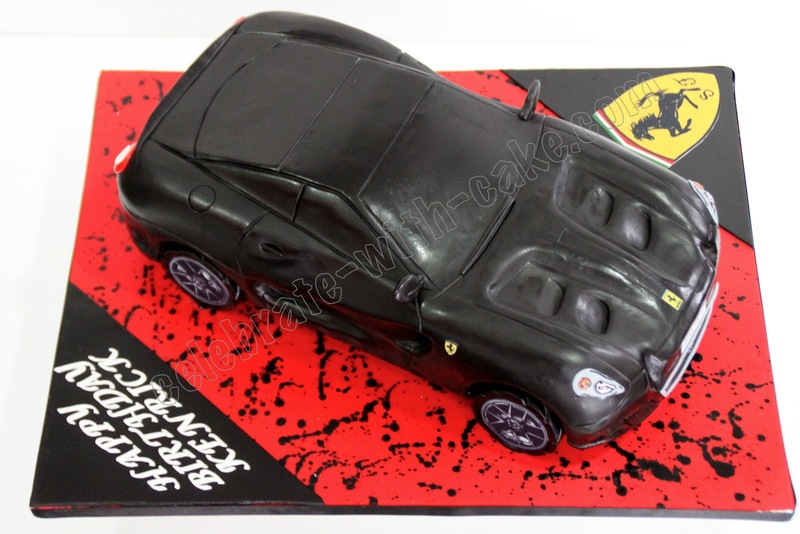 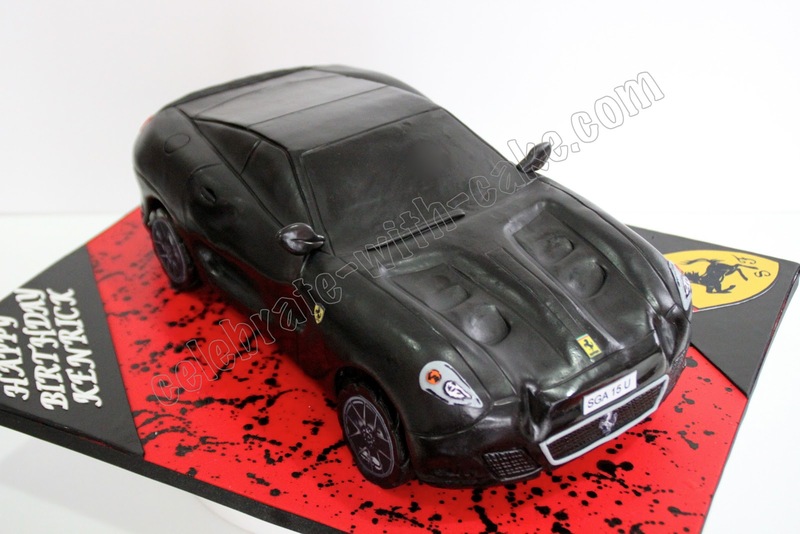 The general rule of thumb for sculpted car cakes is: the more indentations a car has, the harder they are to sculpt. 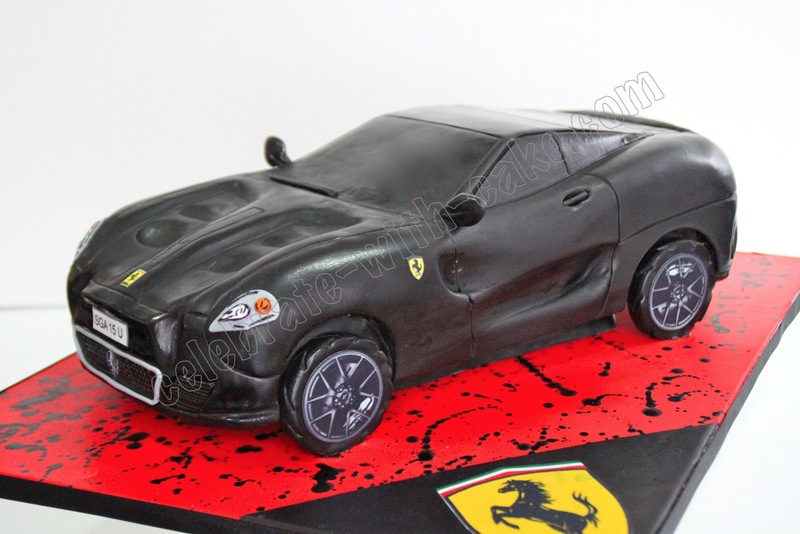 and the ferrari gto is no stranger to indents all over the car. 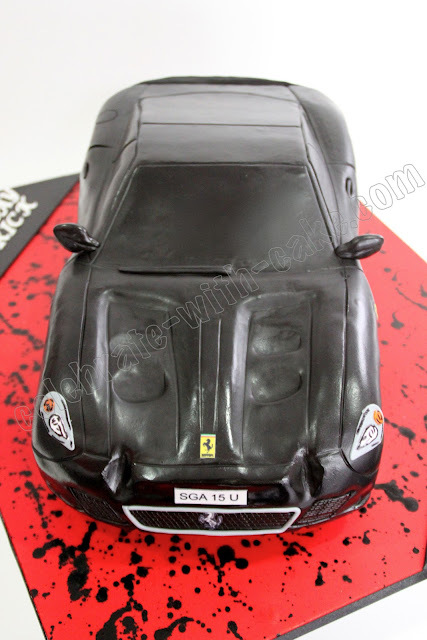 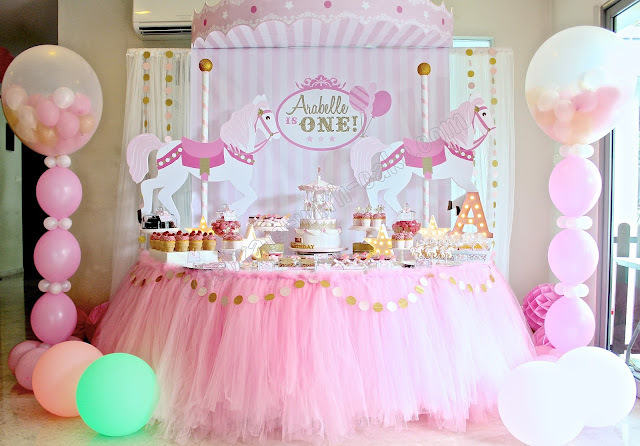 it took as an hour and a half just to sculpt, plus another 3 hours just to get the ganache-ing right. 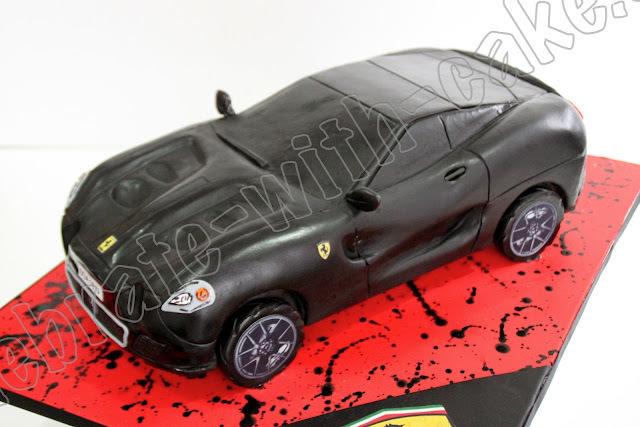 photographing car cakes are really not easy. especially black ones.